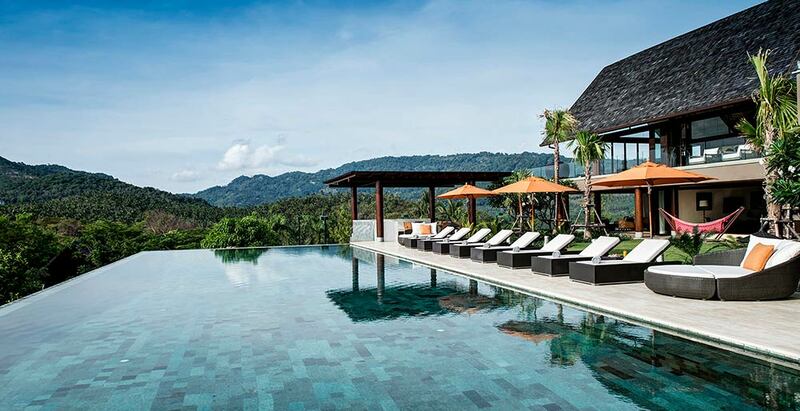 Villa Praana is the jewel of Panacea Retreat estate collection, located on Bophut Hills, north coast of Samui. Six outstanding ensuite bedrooms, inviting living areas, soaring cathedral ceiling, spectacular view from the two infinity pools are just a few of the features of this luxurious villa. Other amenities include your own private nightclub with karaoke, wine cellar, 10-seater cinema with Apple TV and over 1,000 movies, billiards and gaming room, massage and sauna room, fully-equipped gym, tennis court, boxing rink, yoga area and nursery. A team of staff including a villa manager, chef, housekeepers and security offer 5-star service.